While virtually all TVs ship with smart features these days, they may not be the features you want, as manystreaming services are only available viaexternalhardware. The best solution: Buy a worthy streaming media player. The problem is, a veritable smorgasbord of available choices makes this a more complicated and daunting task than ever before. With TVs offering 4K resolution and High Dynamic Range (HDR), you want to make sure you buy a streamer that is compatible, but that’s only the start. You also want to make sure that the streaming services you care about (and the content you want to watch) can be easily found, without having to scour the web for hours. This article serves up the cream of the crop — the best streaming devices out there — so you can get the absolute most from your streaming experience. Why should you buy this: It’s the best streamer on the market, and it’s affordable to boot. For $70, the Roku Ultra offers 4K and HDR, plus several unique features you won’t find in other similarly priced products. Who it’s for:Anyone who wants to stream 4K and HDR through an easy-breezy interface. Prior to announcing its new line of streamers in October, Roku already held the top spot on our list, with the Roku Premiere+ earning the imaginary blue ribbon. Boasting support for 4K playback and HDR color reproduction, the Premiere+ was pretty much the ultimate set-top box when it launched at $100. In the new fall lineup, though, the Roku Ultra is down to $70, and it brings with it a slew of awesome features. Like any high-end streamer, it supports 4K and HDR (though Dolby Vision isn’t currently compatible), but that is just the beginning. The Ultra sports an Ethernet port to help improve connection speeds and a MicroSD card slot to show people pictures from your most recent vacation (or whatever). It also has a USB port, so you can view content from any compatible device. The box itself has a “lost remote” button that will trigger a tone from the remote (even though we all know it’s under the couch), and said remote has both a headphone jack and dedicated power/volume buttons that can control TV volume, depending upon the model. Night Listening mode automatically adjusts volume scene-by-scene to avoid waking up the kids. And if you ever readanything we have written about Roku, you know we love the Roku OS. From the biggest library of apps (aka “Roku channels”) around to an incredible cross-channel search function, there is no digital ecosystem that can compete. We won’t fault you if you decide to save some money and go with the new Roku Streaming Stick+. After all, you get many of the same great features for less. But we think the Ultra is in a class of its own. Either way, Roku rules the roost. Why should you buy this:It offers 4K and HDR, paired with premium gaming features. The Nvidia Shield TV offers an excellent Android TV interface, 4K and HDR, and features gamers won’t find on other streaming devices. Who it’s for: Those who prefer their streaming with a healthy side of gaming. More than 200 games are available to play via Android TV, with many exclusive to the Shield TV. If you’re a PC gamer, the ability to stream PC games to your Shield TV while you kick back on the couch makes it an even more attractive option. The base version, which sells for $200, includes just 16GB of storage, but $300 gets you 500GB, along with microSD and micro USB slots.The included controller — which Nvidia has revamped— provides a familiar feel to experienced console gamers. For 4K streaming, Netflix, Vudu, UltraFlix, Amazon Video, and YouTube are currently supported, with HDR support available on select services. For HD streaming, many more options are available, includingHBO Now, Twitch, CBS, FOX, and Vimeo — basically anything in the Google Play store. Many of these apps can easily be searched using the built-in Voice Search feature. Live TV is available via Sling TV as well as PlayStation Vue, thanks to a recent update that brought the streaming service to Android TV devices. For $8 a month,GeForceNOW allows users to stream games to their Shield at 1080p resolution, but performance isdependent upon internet speed. On the audio side, the Nvidia Shield TV supports 5.1 and 7.1 surround sound, as well as Dolby Atmos object-based surround sound. High-resolution audio is also supported, with some formats supported natively and others supported via pass-through. Why should you buy this:You want a seamless TV experience across Apple devices. The new Apple TV 4K offers support for Ultra HD content and even HDR, though it is a little pricey compared to other brands. Who it’s for: Users heavily invested in the Apple ecosystem. After spending two years as an afterthought in the streamer market due to a lack of 4K support, the Apple TV is back and better than ever. With a bevy of cool features, it’s a no-brainer for Apple devotees and a worthy (if spendy) competitor to high-end offerings from Roku, Amazon, and Google. The new Apple TV 4K has a few tricks up its sleeve, beginning with its A10X Fusion processor, which is superfast. Put it this way: The only thing holding this box back speed-wise will be your internet connection. For those with iPhones, iPads, and Apple laptops, there is a cool option that allows you to copy login info directly to the Apple TV from those devices, which drastically reduces the amount of time spent entering passwords. Plus, if you had a thirdi or fourth-generation Apple TV, it will automatically sync your previous TV OS layout to make life simpler. You can use Siri to search for content, including cross-platform searches, though Apple’s library of apps isn’t as diverse as, say, Roku’s. You still have access to heavy hitters like Netflix, Hulu, Sling TV, and more recently, Amazon Prime Video (though the app is half-baked compared to other apps on the device). Plus, you’ll have access to the iTunes store and your entire iTunes library. You can also use intuitive questions and statements for voice-controlled search (“Show me 4K movies on Netflix”) instead of resorting to awkward jargon. As far as picture quality goes, the Apple TV can’t be beaten. In addition to 4K, it supports HDR in both Dolby Vision and HDR10, so when you select the right content, it truly looks incredible. There’s one drawback: The box forces your TV into HDR mode, so standard dynamic range content ends up looking darker than it usually would (though rumor has it that the yet-to-be-released tvOS 11.2 update will solve this issue). Is the Apple TV 4K worth its hefty price tag? We’re on the fence there, but if you’re one of those “All Apple Everything” types, this is the streaming device for you. Why should you buy this: More 4K support than Nvidia Shield TV, better gaming than Roku Premiere+, built-in Alexa, and a great price. Offering affordable 4K streaming and Alexa built in, Amazon’s new Fire TV is a great streamer for bargain hunters. Who it’sfor: Users who want a bit of everything. If you’re reading this article and every single devicesounds like something you want, the Fire TV (specifically the new model) might be for you. It doesn’t have every feature of the other streamers on this list, but it offers a compelling mix of some of the best features available. Like many of the other streamers here, the Fire TV supports 4K resolution and HDR playback via HDR10, though not Dolby Vision. When it comes to gaming, the Fire TV also sits in the middle of the pack. It’s not a gaming-focused device like the Nvidia Shield TV, but it’s much better for gaming than any Roku model thanks to the available gaming controller (plus, Amazon’s selection features popular titles like Minecraft andShovel Knight, while Roku’s comprises a bunch of generic games). Amazon even sells a version of the Fire TV that bundles in the gaming controller. In terms of content, you won’t find quiteas many apps as Roku devices, but all of the big players are here. In addition to Amazon’s own sizable library of content, Netflix, Hulu, and HBO Now offer on-demand content, while Sling TV and PlayStation Vue are available for live TV. As a bonus, the Fire TV version of PlayStation Vue offers an interface that is almost equivalent to the PlayStation 4 experience. If you’re looking to stream in 4K, however, you are limited to Amazon and Netflix content. While Google has pulled YouTube support for Amazon devices, there is a workaround (for now). The Fire TV supports web surfing through the Firefox and Amazon Silk browsers, both of which are available in the Amazon App store, and you can use Firefox to access YouTube that way (it’s blocked on Silk). Plus, both browsers feature a full experience similar to desktop or mobile browsers, replete bookmarks and curated home pages, plus the ability to browse via voice search. The price of the new Fire TV is currently just $70, making it an even better option for those who feel most comfortable with the Amazon ecosystem. Why should you buy this: It’s a cheap, effective way to add smarts to your TV. Looking for a cheap and simple way to add smart functionality to a “dumb” TV? This is a great way to dip a toe in the streaming waters. Who it’s for: Anyone who just wants a simple, cheap streamer. If you don’t have a 4K- or HDR-enabled television, you obviously don’t need to spend close to $100 on a device that streams in 4K. Similarly, if all you’re looking to do is stream Netflix, you don’t need to buy a device that offers zillionsof unnecessary apps. Luckily, the Roku Express offers basic functionality for a basic price, without extraneous bells or whistles. The cheapest product in the Roku lineup (and the cheapest item on this list), the Roku Express is understandably limited when compared to many of the other products, but it’s still pretty loaded for the price. More than 1,000 apps are available, including many we previously mentioned like Netflix, Amazon, Hulu, and HBO Now, as well as both Sling TV and PlayStation Vue. The Express also includes a traditional AV input cable — remember, the red, yellow, and white plugs? — so it’s your only option if you want to stream to a TV without an HDMI input. The interface is just as user-friendly as any other Roku model, and while the Express isn’t as powerful as its siblings, it’s still more than functional. Roku’s recent update boosted the power of the Express by five times, so navigation is noticeably smoother than before. If you’re looking to add some smart features to an older TV, this is a cheap and effective way to do so. The Express is also a nice choice for a second or third TV that doesn’t need a glut of features. We test our streaming players over a period of days or weeks, replicating exactly how you’d use them in real-life scenarios. That includes testing them for speed, convenience, intuitiveness, and a variety of features. Just as important as speed and power is access to a wide variety of apps — after all, most TVs and Blu-ray players are already set up for basic streaming — a designated streamer should offer something more. A streamer might have the best hardware in the world, but this won’t matter if you can only watch content from one streaming service. In order to meet our standard, a streaming media player ideally supports all or most of the major content providers, as well as a wide variety of newer features like 4K Ultra HD and HDR. Finally, we look at how much quality and how many features you get on a dollar-by-dollar scale, to assure each of our top streamers is not only a great experience but also a great value. Whether or not now is the time to jump on one of these streaming media devices dependson what catches your eye. For Roku models, the answer is a definite yes. Buy one of the most recent Roku streamers — launched in October — and you can be fairly certain that you’ll be set for the next few years, even if you buy a new, top-tier TV. Likewise, Amazon and Apple just launched new editions of their Apple TV and Fire TV, respectively, with 4K and HDR support. Apple tends to take longer to update its hardware, so if that’s the route you want to go, now is the best time to buy. The Nvidia Shield TV is similar to the above devices, though in this particular case it’s whether or not to buy at all. Nvidia had been planning a successor to the Shield TV, but dropped those plans and we haven’t heard anything since. Still, despite relatively limited 4K and HDR support for the time being, this streaming box packs plenty of horsepower, and continues to gain more features with every software update. Roku: Roku’s interface is common across every model, whether you’re talking the top-of-the-line Ultra model or the entry-level Express. There is also a certain look to Roku apps, and you won’t find interface differences across different apps as much as you might on other platforms. As we’ve mentioned before, you’ll find nearly every streaming service or channel you care about represented here, and unlike certain other platforms, you won’t find any gaps, with the notable exception of iTunes, which is only available on Apple streamers. Amazon: Amazon only offers two Fire TV models — the Fire TV and the Stick — but the interface is the same for both. Apps differ much more here than those found on other devices, and this can be a benefit. PlayStation Vue, for example, currently offers a much more intuitive interface on Fire TV devices. However, as Amazon wants to drive users toward its own store, there are some missing services here: Google Play isn’t available (there is a workaround), nor is Vudu. Both are available on Roku devices, and Vudu is available on every other streamer listed here. Apple TV: The Apple TV user interface lies somewhere between the Roku and Amazon Fire TV. Apps have a fairly consistent look, but you’ll always be able to tell whenyou’re watching on an Apple TV. Similar to Amazon, Apple would prefer users buy and rent content via iTunes, so you won’t currently find an app for Google Play, though an Amazon Video app has finally arrived. There is a fairly easy workaround, however, as Google play offers a mobile app that allow content to be streamed to an Apple TV via AirPlay. Chromecast: The Chromecast and Chromecast Ultra are very different than the other streamers here in that you’re never browsing an interface on your TV (unless you’re actually using a TV with built-in Chromecast). Instead, you’re simply sending content to your TV from a computer or mobile device. Still, there are limitations. Streaming Amazon content to a Chromecast device, for example, isn’t possible. 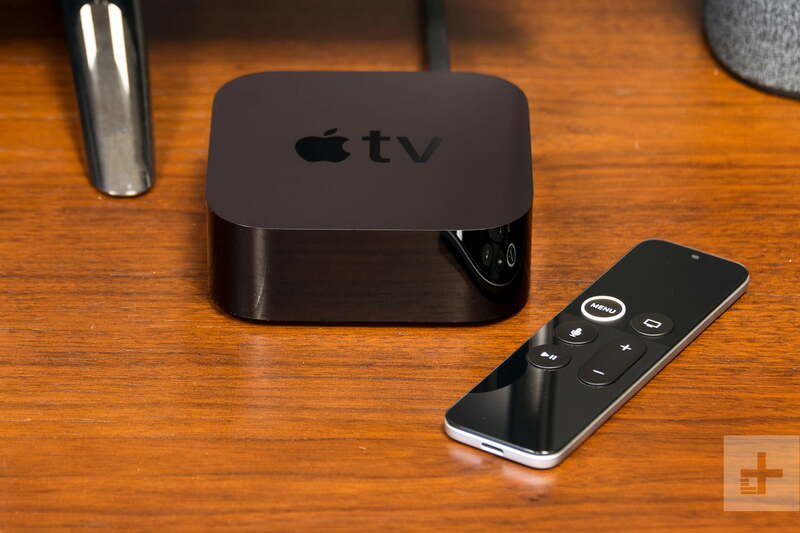 Workarounds are available, but they aren’t as simple as they are for the Apple TV. Android TV: Android TV is a little different than the other options here, in that manufacturers can put their own spin on the interface, similar to phone manufacturers with Android. The Shield TV implementation falls somewhere between the Roku and Fire TV in terms of looks, with apps exhibiting plenty of individuality. As with the Chromecast Ultra, Amazon Video isn’t available out of the box, though it can be cast or sideloaded if you want to dive under the hood. 4K Ultra HD: The highest resolution currently available, around four times that of 1080p HD (3,840 x 2,160). It is quickly becoming the standard for new TVs. 802.11ac Wi-Fi: The most recent and fastest Wi-Fi standard — not as fast as Ethernet, but faster than 802.11n. HDR: Short for High Dynamic Range, HDR offers better contrast and more colors than standard dynamic range. It’s considered by many to be a more notable visual improvement than 4K Ultra HD resolution itself. Dolby Vision: One of the two most popular HDR formats. Proprietary, and less popular than the other format, HDR10, Dolby Vision has advantages, such as the ability to gauge your HDR TV’s capabilities and tailor the HDR experience. Update: Added new information about lack of YouTube support on Fire TV, plus the newly launched Fire TV web browsers, and a quick note on the upcoming tvOS 11.2 update.